Almost like natural teeth, dental implants were revolutionary in the world of dentistry, allowing you to replace broken or missing teeth with a counterfeit implant that would function the same the way. These implants allow you to eat and drink and also achieve the flawless smile you’ve always wanted. Dental implants can be life-changing, but they sometimes can become damaged or broken and need to be replaced or repaired. Like natural teeth, existing dental implants can become damaged, sometimes by biting on hard food or if they are misaligned and grind against your other teeth improperly. If you notice that your implant is becoming loose or is cracked or fractured in any way, you may need to visit your dentist to have it checked. However, the incident is not always so easy to catch. Sometimes, implants can break or shift unexpectedly, leaving you in a lot of pain. In fact, a broken or misaligned dental implant can sometimes be cause for emergency. There are some things you may be able to do in the meantime to avoid more damage to the dental implant or surrounding area. Call your regular dentist to ask how you should treat the area and to make an appointment to have your dental implant repaired. If your implant breaks during inconvenient hours, like when your regular dentist office is closed, you may need to find an emergency dentist instead. If you cannot get an immediate appointment, the dentist may suggest avoiding hard or chewy food, instead opting for soft foods or liquids until your dental implant can be seen. You may also be able to pack the area with gauze when not eating or drinking, which may help protect the implant and surrounding tissue and nerves from more extensive damage and can possibly help relieve some pain. Sometimes, your dentist may suggest a warm saltwater rinse to help manage mild to moderate pain. Other situations may require you to see a dentist for a dental implant emergency. If you don’t have a dental implant—but have lost or broken a tooth—you may require an extraction and implant to correct the problem. Broken and missing teeth can be incredibly painful. Sometimes, you will need to see an emergency dentist immediately. For a broken or fractured tooth, they may suggest extracting the remaining pieces of the tooth and replacing the tooth with a dental implant. Generally, this is an in-office procedure. Some offices may use anesthetics when pulling teeth or inserting dental implants, but you should call the office ahead of time to ask. An emergency dentist office is open for extended hours when compared to a standard dentist office and sometimes an emergency dentist is open on the weekends as well. 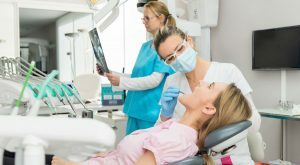 Often, an emergency dentist will have a dentist on call and for dental implant emergencies that cannot wait they may be able to see you immediately. Do you have a dentist on call? Can you repair my dental implant? How soon can I get an appointment to repair my dental implant? What paperwork should I bring with me for my appointment? Is there anything I should do in the meantime to avoid further damage to my implant? 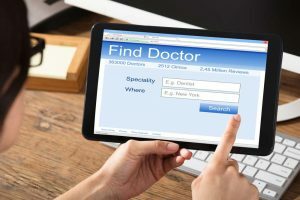 Remember that when you see a dentist other than your own dentist, you may need to fill out paperwork that requires information on your dental insurance, as well as proof of identification. Sometimes you will need to provide payment upfront until your insurance can be processed. 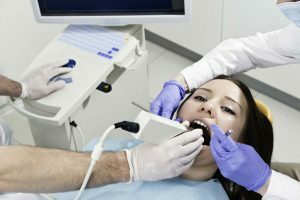 Occasionally, emergency dentists may charge more than a regular dentist office, especially for a procedure done after hours. However, this small upcharge is well worth treating severe pain caused by a damaged tooth or implant. Ideally, an emergency dentist will be able to see you immediately to extract the broken tooth or damaged dental implant that is causing you pain. Tooth pain can easily be debilitating and severe, so it is important that you do not waste any time before calling to book an appointment. If there is more than one emergency dentist in your area, you may want to call around to find the earliest appointment. There are several different techniques for dental implants. Some emergency dental offices, especially ones that have a dentist on call, may offer a service called “same day dental implants,” meaning you can get a new dental implant or replace your existing implant, during one office visit. This is usually the best option since going without your implant can be inconvenient. Same-day dental implants are usually quick and easy. The procedure, including the extraction of your old implant or broken tooth and the insertion of a new implant, can be completed in the same day, usually during a short office visit. The entire procedure should take no more than an hour. Typically, this procedure is offered to patients who have damaged, non-repairable teeth in the “esthetic zone” or the visible area of the mouth. Sometimes, same-implants only include a temporary implant. Impressions may need to be done at a later date in order to create a permanent implant. The permanent implant will fit more snugly in the gums, which continue to shrink and change after a tooth is pulled. The new implant should last longer than the original, temporary implant. After you see an emergency dentist for a dental implant or extraction, you should always schedule a follow-up appointment with your regular dentist. It is important to always keep your dentist in the loop so they can care for your new implant accordingly. You should always get regular dental checkups as well. Your dentist will keep an eye on your implant to make sure it is not becoming weak, damaged or loose.